Justin Moore raised a glass to his sixth No. 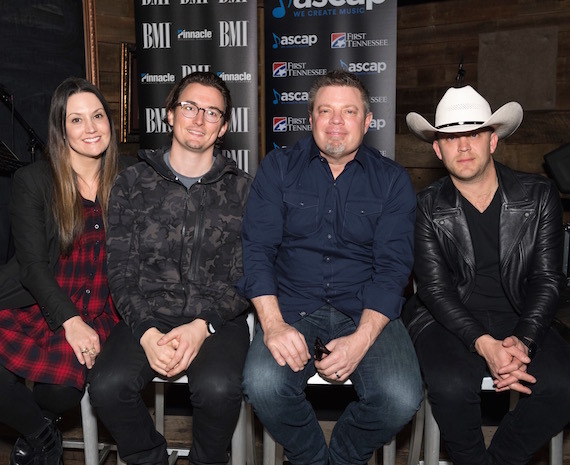 1, “You Look Like I Need A Drink,” and its songwriters Rodney Clawson, Natalie Hemby and Matt Dragstrem. 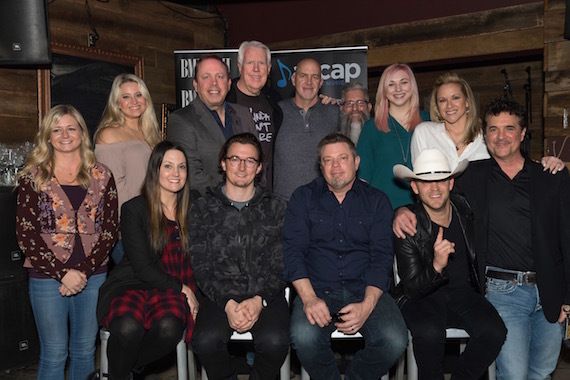 Fittingly surrounded by a vast selection of beverages at Nashville venue SOUTH, the ASCAP and BMI hosted event drew a large crowd of revelers and well-wishers including producers Jeremy Stover, Julian Raymond and BMLG President/CEO Scott Borchetta. The latter two marked their first No. 1 hit as producers. Moore will make his late-night debut on March 7 when he performs on Jimmy Kimmel Live! on ABC.